Grossery gang were made in 2016 by Moose Toys, Moose toys lives in Australia and the toys were made in china. Grossery Gang are grosserys that went rotten, there are commons, rares, ultra rares, special editions and limited editions. There are two seasons. They are squishy but not all of them. They are like shopkins but the opposite. Because shopkins are food or whatever that didn’t get rotten. And Grossery gang are toys that got rotten. Minecraft is a block game you can play its really fun! And by the way Minecraft was made by Notch. You can choose how you look in minecraft! Minecraft is also fun because you can play with you friends! Shopkins are little toys you can play with. And you can get shoppie dolls too. Shopkins were made by Moose toys ,he lives in Australia and makes toys in china. They were made in 2013, there are 7 seasons now, in England they cost 2 pounds 50p for a two pack, 5 pounds for a five pack and 10 pounds for twelve pack. My favorite season is season 6 because its chef club season and you can get different fruits and veg shopkins and different things you can cook with. That is the chef club logo. those were some of my favorites! And also there are cartoons that you can watch on youtube! The channels name is Shopkins World and plus theres a shopkins MOVIE OUT NOW!! Now I’m going to tell you everything about season 7. Season seven is a party theme season!! It has 9 catagorys! like, Disco party, summer pool party, picnic party and there is much more!! By the way now there are topkins!! 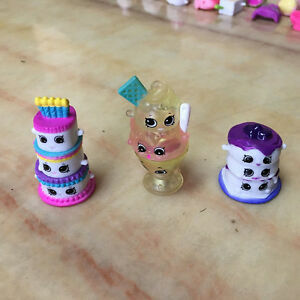 So basicly there is 3 shopkins that can stack! Here is another link to a video! DanTdm the best YouTuber EVER!